Highly durable, this sleek cover is made from durable oxford cloth, and offers full 360° protection from all angles to effectively keep your TV safe from all the elements. If you have any questions about this product by Mount Factory, contact us by completing and submitting the form below. If you are looking for a specif part number, please include it with your message. 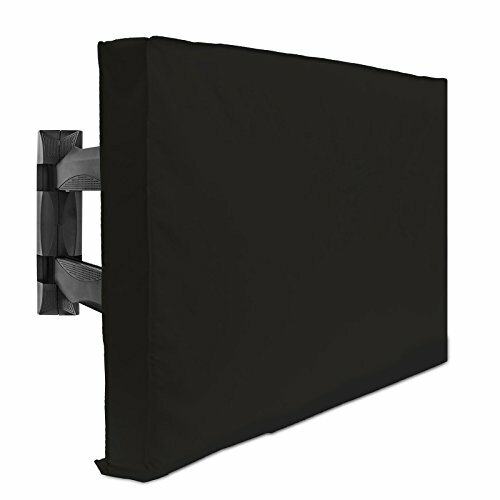 Clicks Depot Outdoor TV Covers 50" - 52" - WITH BOTTOM COVER - The BEST Quality Weatherproof and Dust-proof Material with FREE Microfiber Cloth. Protect Your TV Now!